Even though I feel so fortunate living in Portland and having so many great events, shops, restaurants and things to do right in my neighborhood, sometimes I crave a weekend of downtime and relaxation. Luckily, living in Portland means we are only a short car trip to the beach, the mountains or the countryside, which affords us all sorts of different experiences for when we need a break from the hustle and bustle of the city. This past weekend David and I took a much needed trip to the countryside and had an amazing time staying at the Bali House outside of Silverton, Oregon, about 1 hour south of Portland. We are moving in together (!!!) this Friday, and with all the stresses of the move, the upcoming holidays, and lots of winter travel this year, the trip was everything we could have wanted. This was both of our first glamping trips, and neither one of us were quite sure what to expect! When we looked at our accommodation on Glamping Hub it looked much more glam than camping, but we were definitely game for anything! 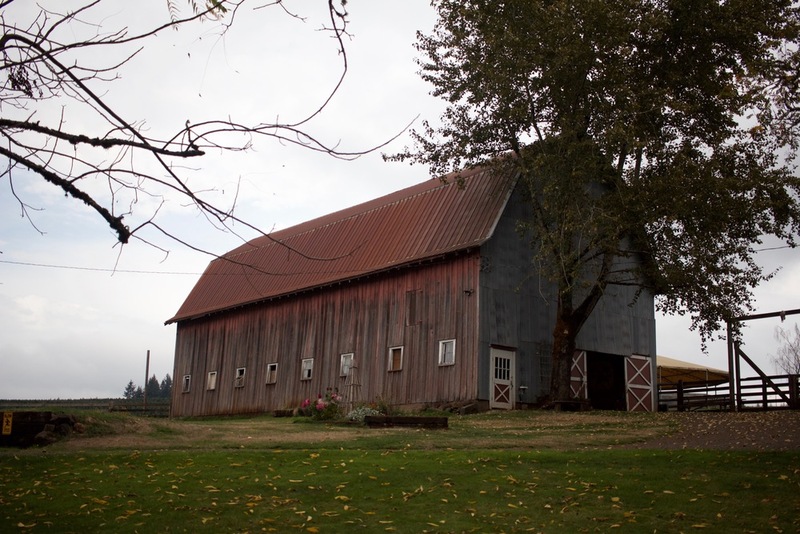 Upon arriving our host Kristy greeted us at a beautiful big red barn and gave us a tour of the entire property. She owns 40 acres in Scotts Mill, complete with a barn, horse arena, multiple homes, the Bali House, and lots of wide open country land. She was such a vivacious, spirited woman, and we had so much fun chatting with her. Kristy is planning on starting up some horse training and tours at her property, so if you head to the Bali House sometime soon make sure to check if that is up and running! On the tour we met a few friendly cats, her amazing dog, and two of her four horses. She also showed us the pond, some walking trails, and gave us great recommendations of what to do in Silverton. The two things that Silverton is most famous for is the Oregon Garden and Silver Lake falls, neither of which David and I were able to do. That just gives us another great excuse to head down to Silverton and stay with Kristy again! The property itself was beautiful, but of course we were most excited to see where we would be staying! The Bali House is gorgeous, and Kristy did not overlook a single detail in making the experience of staying there absolutely perfect. The home itself has a small sitting area downstairs with a cozy heater, throw blankets, and cards and games set up, but the highlight of the main floor is the cedar soaking tub, which gave the room a delicious smell and a warm, tropical feeling. The fact that the Bali House is a converted greenhouse definitely helped with that, as did the numerous potted plants, palm trees and fresh flowers that decorated the space. There were plush towels and robes laid out for us, along with a bottle of wine, a bowl of grapes and some delicious chocolate. Upstairs was a cozy, plush bed that seemed the perfect place to curl up with a book or a loved one and take in all of the amazing sights around the property. David and I didn't even want to leave the house, but we decided to head into Silverton for some sight-seeing and dinner. Our trip to the Oregon Garden was a fail, however (we arrived too late in the day), so we spent a leisurely afternoon wandering around town and eating a long dinner. We couldn't wait to get back to the Bali House though, and spent the rest of the evening soaking in the tub, lounging in our bathrobes and enjoying the sense of calm contentment that you can only get on vacation. When it was time for bed the sound of rain on the glass greenhouse was the perfect way to fall asleep! The next morning Kristy had coffee, a huge selection of tea, bagels, yogurts and orange juice for us, and we enjoyed a lazy morning listening to the rain and wishing that we lived in a greenhouse all the time. By the time it was time to head back to Portland we didn't want to leave, but we both knew we would have to come back and stay at the Bali House again!